NM Blog | I Can Has History? I Can Has History, Helene Dam’s final project that mapped the world of lolcats, got online in July 2008. Since then no other page on the Merz Akademie’s servers got more hits than this one. 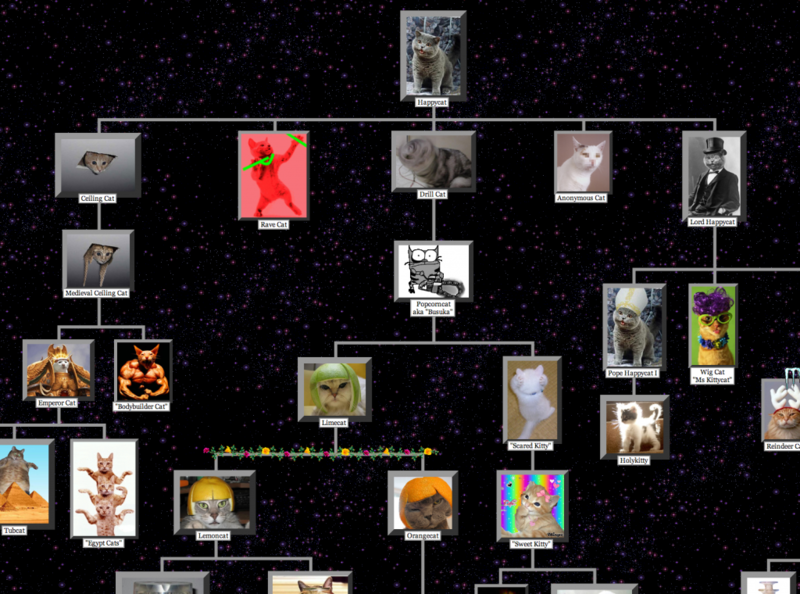 The cat memes’ family tree also comes as a poster with the book Digital Folklore. None of its pages is read that attentively and kept as carefully as this poster, readers report.